Detox has become today one of the largest consumption aspirations for those who have more and more the impression to live in an environment dominated by the ‘too-much’. As a consequence, ‘detox initiatives’ have been relentlessly flourishing with new product line extensions, new brands, unexpected new offers and in-vogue habits. 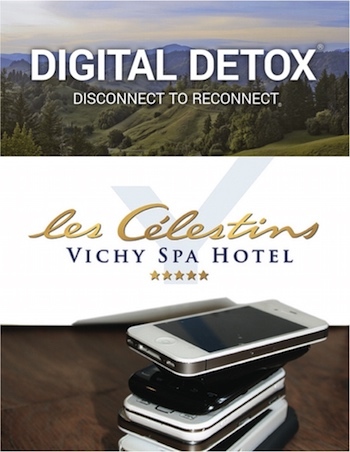 Upon their arrival to the very chic Vichy Spa Hotel Les Célestins in France (at the mineral water source of Vichy cosmetics products), clients are kindly invited to leave their ‘digital weapons’ in an elegant poach sealed with a delicate blue ribbon, that is then placed in the reception’s safety box. During 4 days, no more wifi, nor screens, even not the one of a television set replaced by a hi-fi system in the rooms… To be solely enjoyed: Zen ambiance, sophrology, psycho-behavioral coaching, physical activities… Digital diet before diet meals ! 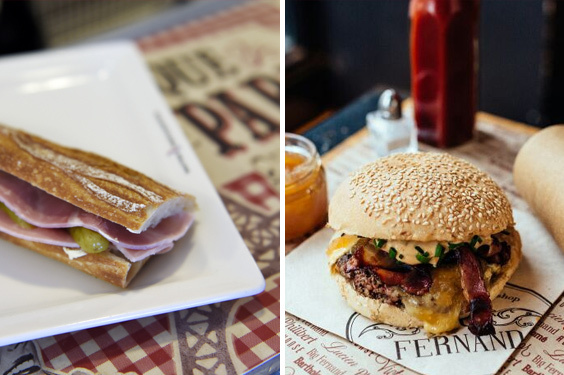 Recently has opened in Paris ‘Seymour +’ (as per the name of its founder). A 230-square meter loft where everyone is invited to leave at the entrance mobile phones, tablets, books, magazines, so as everything else that might link back to the outside world. The reason : to exclusively focus on ourself during a 15-minute to 3-hour period… Across the world, the number of bars requesting their clients to leave their mobile phones in peace, on the name of conviviality et mutual respect is increasing. The detox trend seems to reach a peak ! Let’s say it… ‘Detox’ is a word with magic. It means to reboot, restart on a new foot, regenerate… shall we dare to say “purify” ? Another self is being put into perspective, cleaned up from the impurities of the modern world. ‘Me’ as another one. This success also confirms our current attraction for new experiences. The more unique (and slightly snobbish), the more buzz in the media and social media platforms. The more mind-related, the stronger. In fact, the success of detox stories betrays the awareness of our era’s excesses and their effect on our lives.